The best way to get a continuous 20 feet of impact is this configuration with two 10 foot pop-ups joined by a connector panel in the middle. Or, split them up to go to two shows at the same time. Most of these displays can be set up as 20’ or 10’models. convenient for easy shipping and packing. 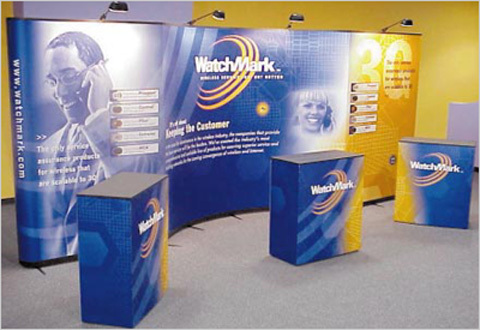 Intertrade Trade Show Products™ - a division of Infinart®, Inc.